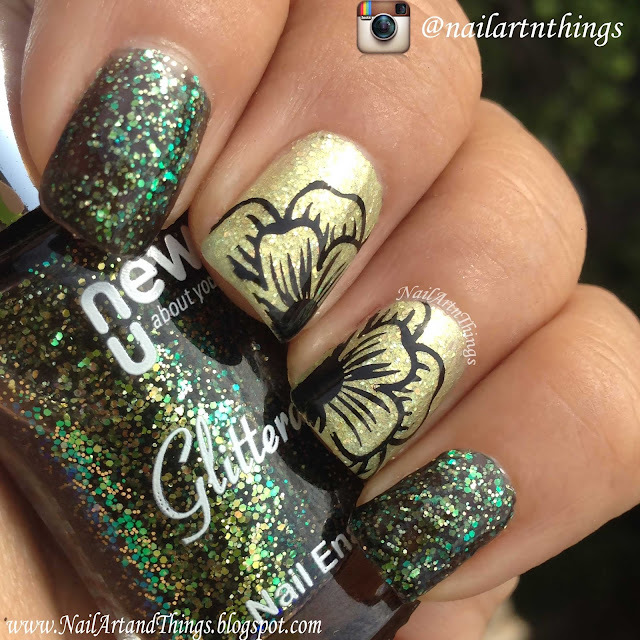 with this mani!!!!! and these polishes!! I completely love both these polishes! 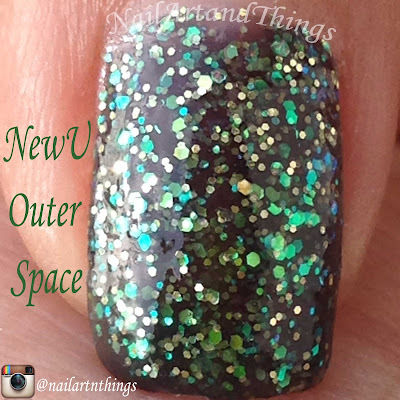 Outer space (link; Rs.75/-) is has duo chrome green-blue and gold glitter in a black jelly polish base. 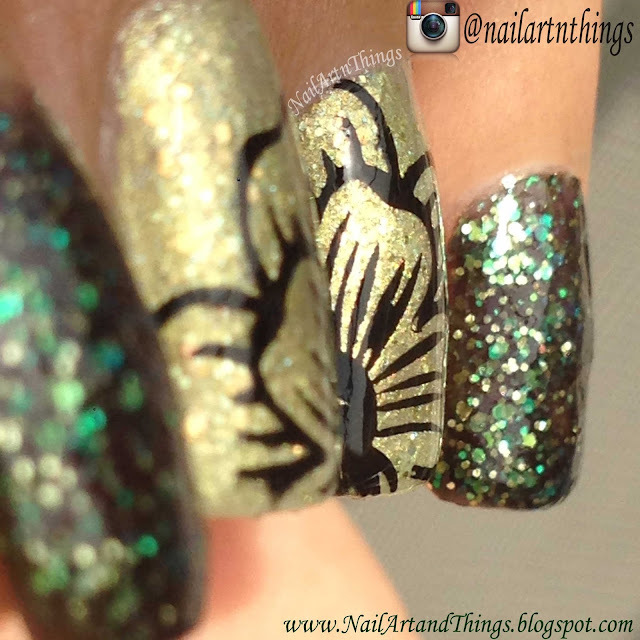 Applied 3-4 coats for complete coverage. 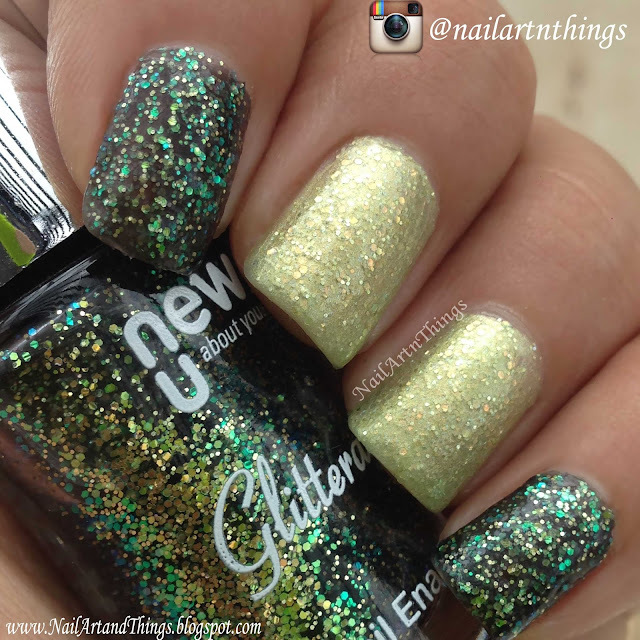 Green Glitz (link; Rs.75/-) is a shimmery chartruese base with pale gold and green-gold duo chrome glitter. I was quite surprised how nice green glitz looked after I swatched it. Quite Lovely! Applied 3 coats for complete coverage.